That was awesome! Thanks for the links. 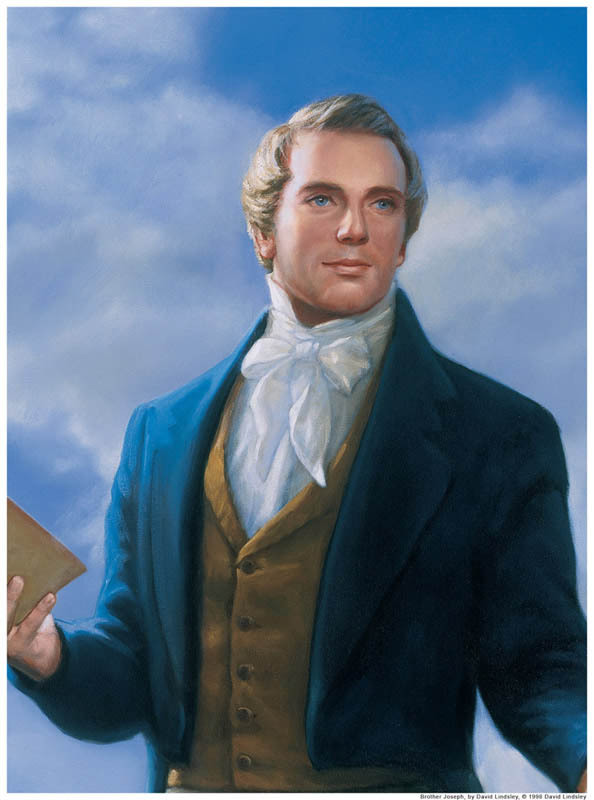 As a kid I thought Joseph Smith was a handsome dude. Then when I saw what he really looked like, OMG. Nasty looking mutt! Yeah, really! What if Ol' Joe did look like Mitt Romney? The faith-promoting depictions of JS are over-the-top good looking. They have been spinning the hell out of his image both pictorial and in print. This blatant exageration is another reason I stopped believing. uck, closely set eyes and super wide cheeks, no thanks!! I noticed that JS has gotten better looking over time. His eyes are bluer, his jaw, more square. Even his hairdo looks better. It's another not so subtle manipulation. Try asking a TBM why JS is getting better looking. You get the don't go there look. I think they like it. It makes it easier to promote their cause. A hunk vs. a clunk. What's with the shotgun at the corner of the table? Sorry about the rifle (and the wrist watch). I think the shotgun is very fitting. Those are GOLD plates afterall! Gawd, they make him look like he was some sort of movie star. Fat hands, big nose, head shaped like a snake head, plus dirty and smelly most of the time. Add garments to the picture and....no wonder he needed death threats to get laid. I found this link from a very talented artist (most likely TBM) who used the death masks or photos of Joseph, Hyrum, Willard, and Jon to create paintings of the extermination at Carthage. BTW, check out Willard Richards and Jon Taylor. Christ, they look like something that came from the Shire. Oh yeah BTW, the artist captured the "lambs to the slaughter" image in this photo. Check out Merry and Pippin in their formidable stance. Even then they only show him from the side. BTW, the death mask image is not a realistic image, as his jaw was dislocated, making it appear more prominent, and he had a lot of swelling which hid his skeletor like face. JS was probably one of the few fellows to ever look better in death then he ever did in life. Those Mo illutrators are working overtime to stylize the iconography. Those look like they belong in a Lord of the Rings-type fantasy novel. Yeah, the illustrator is Mo: he works mostly for cult publications and cult-owned institutions. Babe magnets, the lot of them!